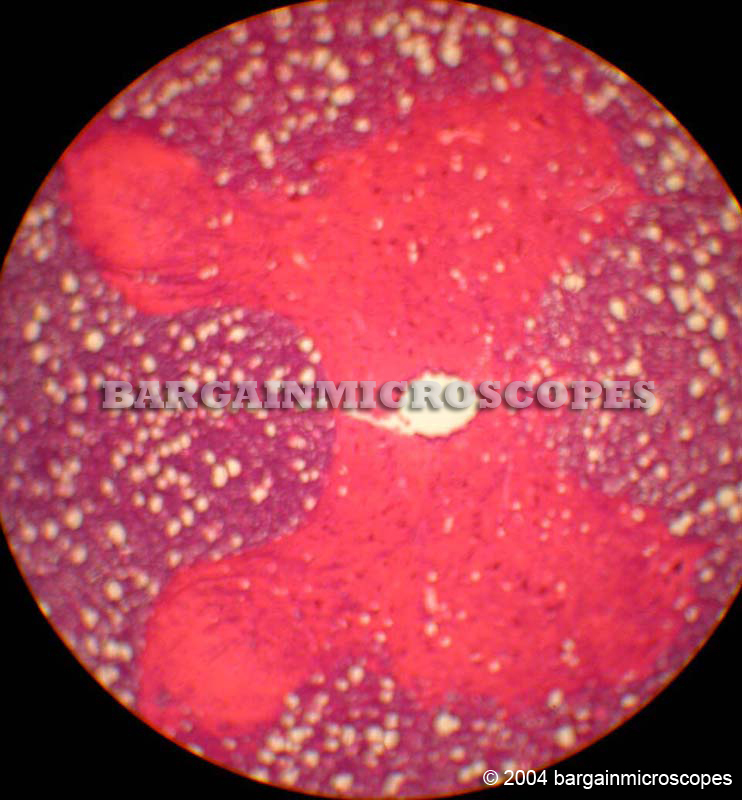 Starter package includes blank slides/covers to create your own specimens, and prepared slides. 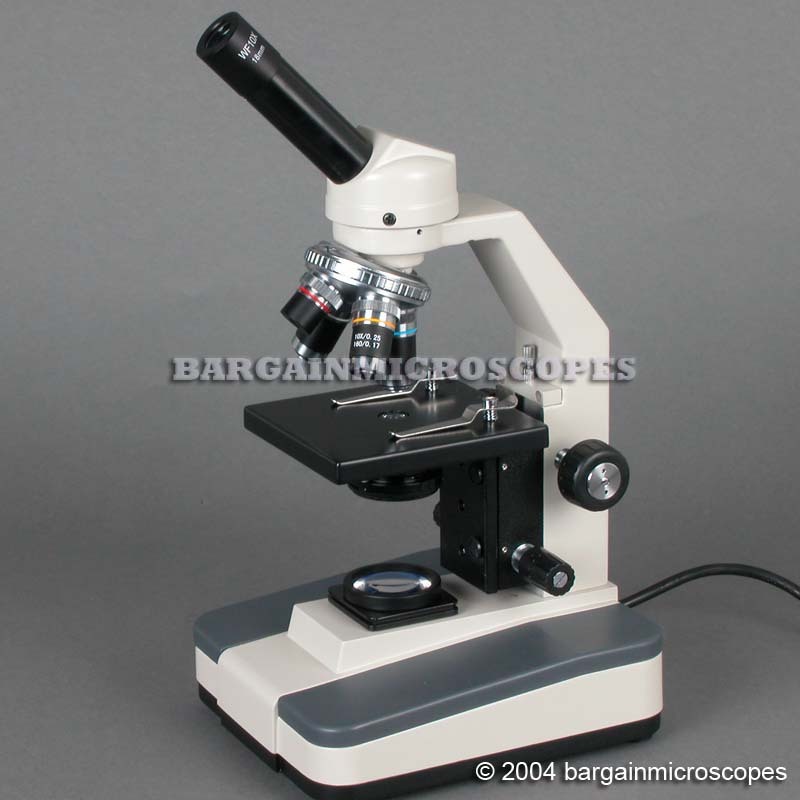 Nice Quality Monocular Biological Compound Microscope! 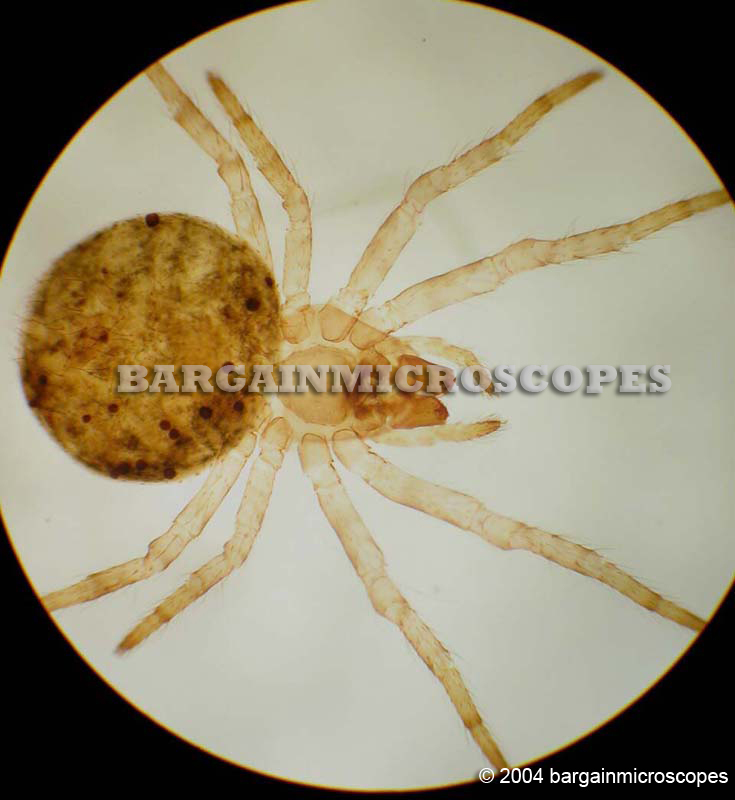 View Prepared Biological Slides, or create your own specimens for a Great Learning Experience! 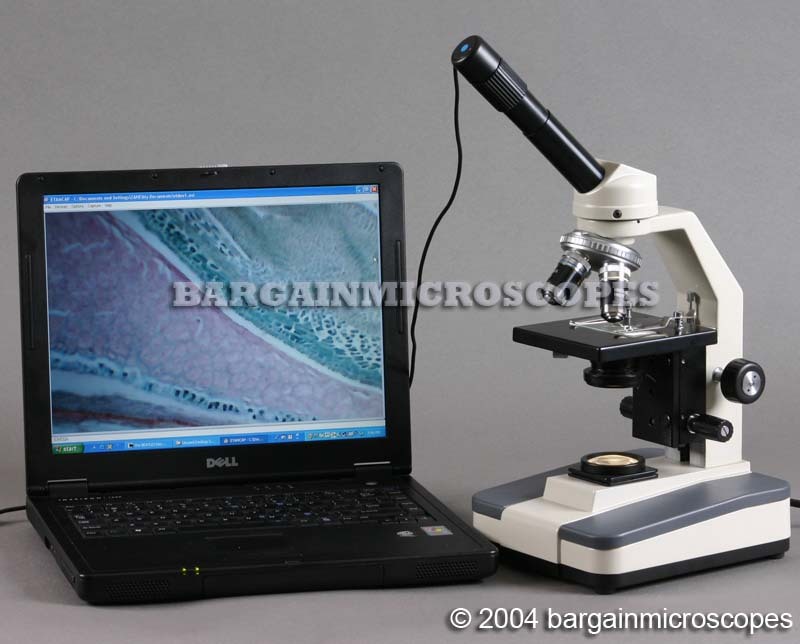 Great Scope for Students, Teachers, Hobbiests, or for anyone wanting to learn more about the Micro World! 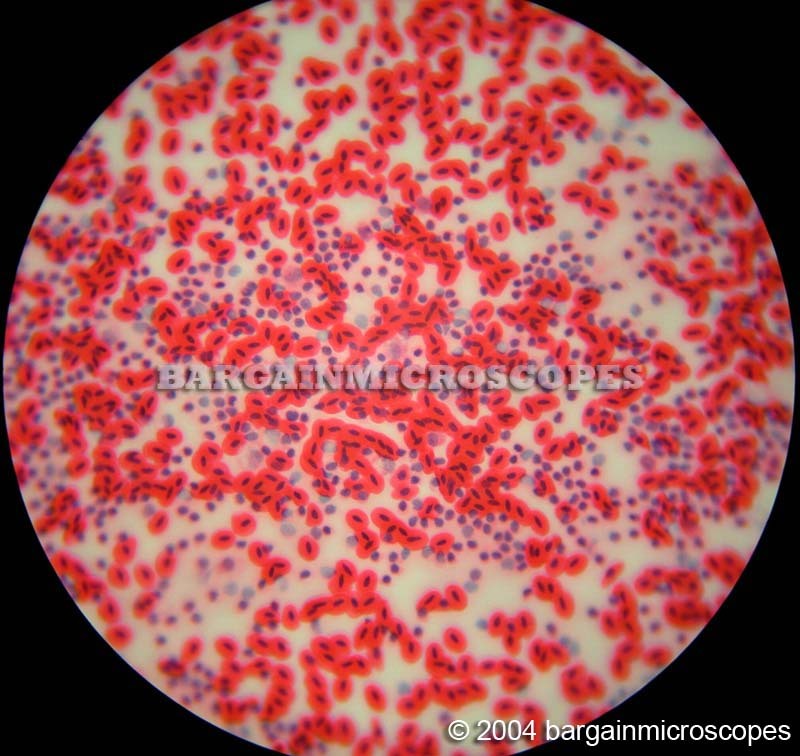 Clear and Bright Biological Images through Premium Optics! Attractive Economical Price! Priced Much Lower than Competition! 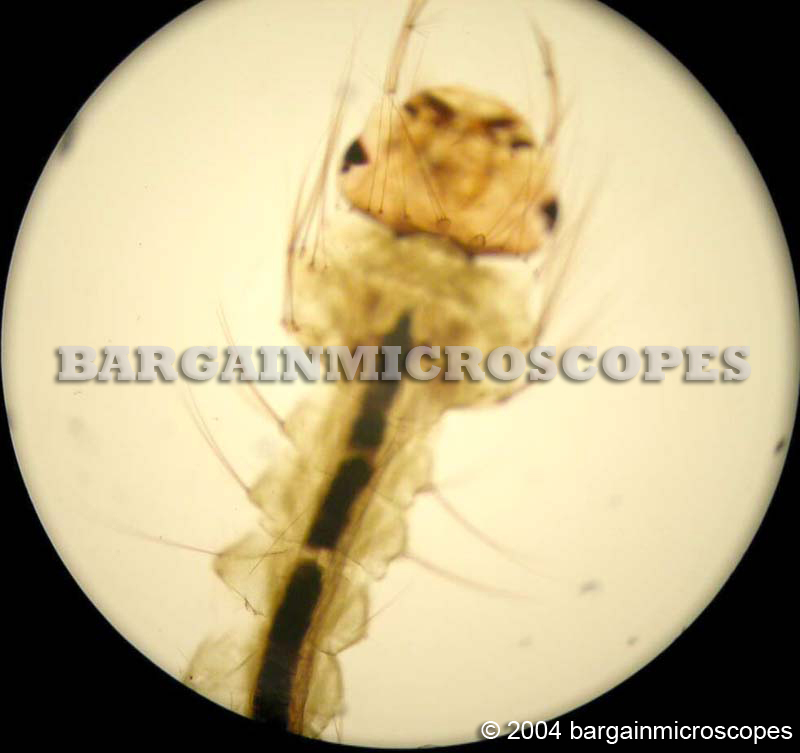 View biological specimens with this compound light microscope. Full rack and pinion movement light condenser. Not the cheap dial aperature type. Full Size Unit. Other somewhat similar looking units are smaller and do not provide as good of image. 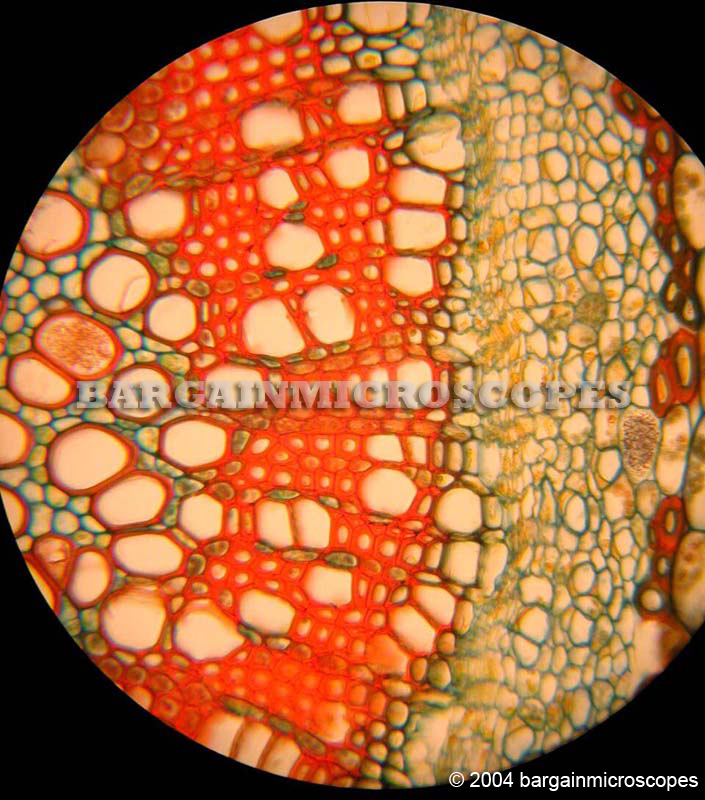 FREE GIFT: Qty 50 professionally stained and prepared glass microscope slides with a variety of plant and animal specimens beautifully color stained for high contrast imaging. 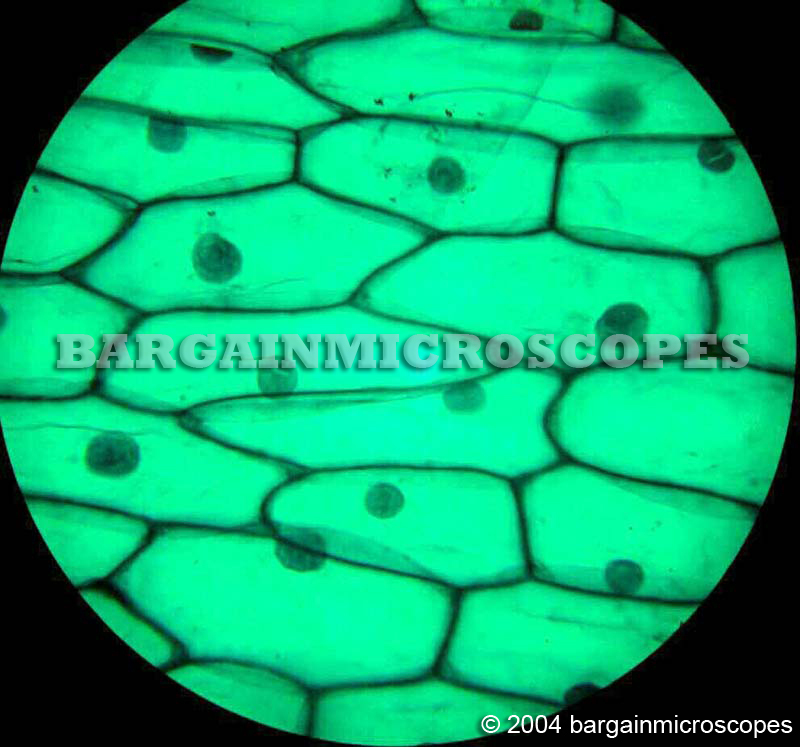 FREE GIFT: Qty 50 ground glass blank microscope slides! 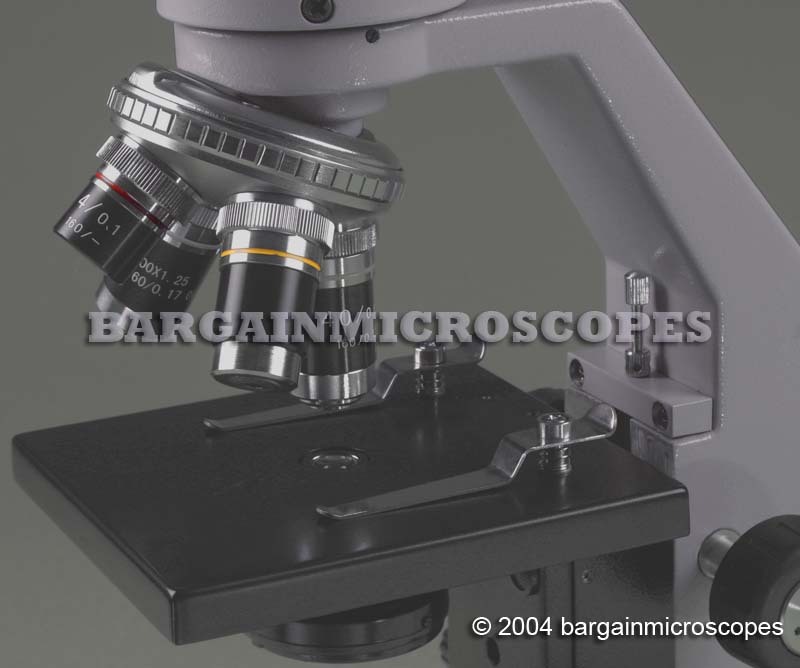 FREE GIFT: Qty 100 glass microscope cover slips to go on top of the microscope slides! 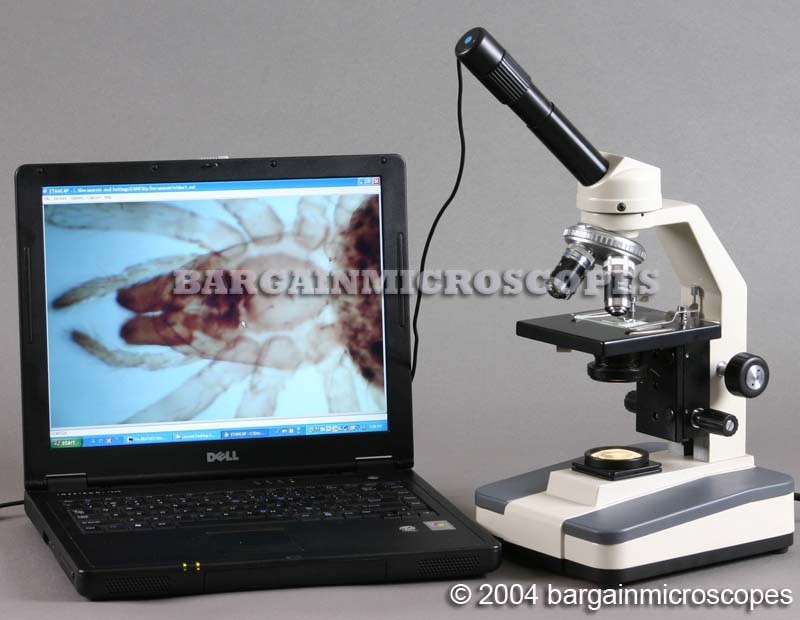 This starter kit is a great accessory for the microscope. 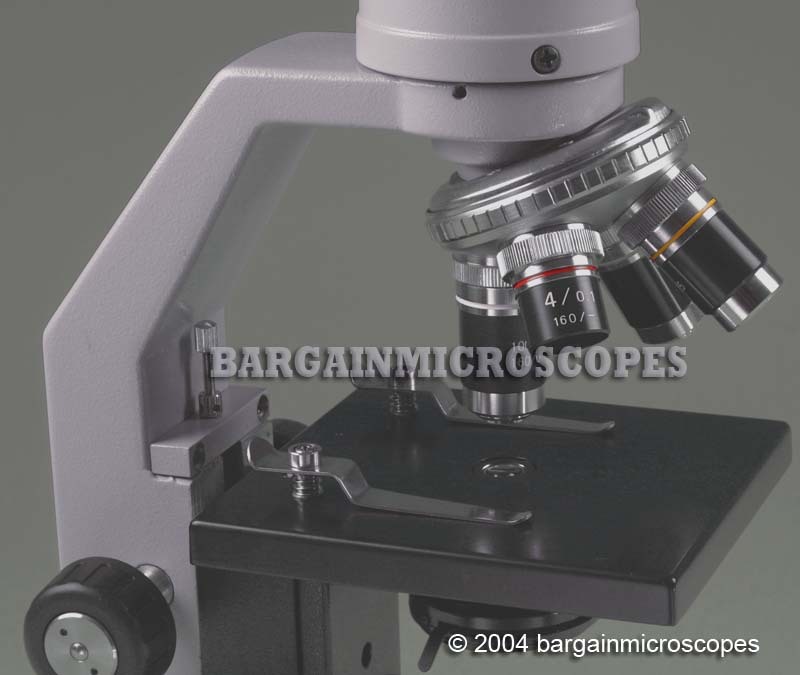 Eight Magnifications: 40x, 60x, 100x, 150x, 400x, 600x, 1000x, and 1500x. 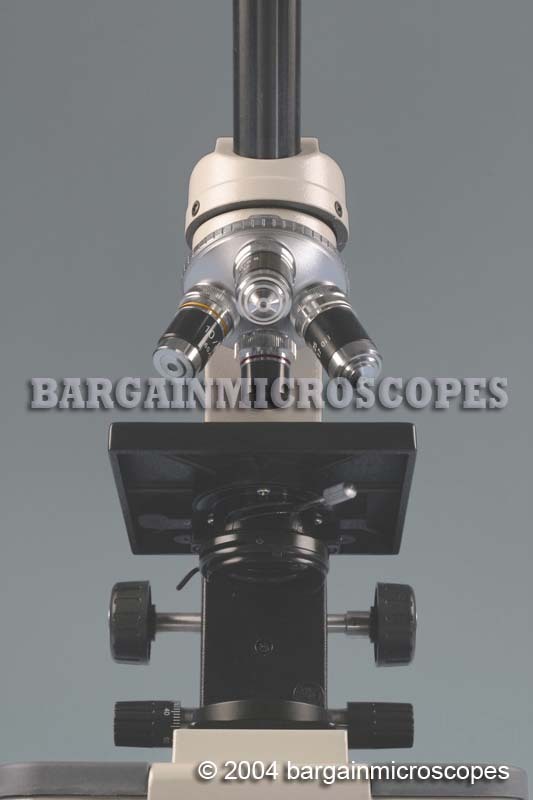 Two Eyepieces Included: Wide Field 10x and Wide Field 15x. Four DIN Achromatic Objectives: 4x, 10x, 40x, and 100x (Oil Immersion). Spring Loaded 40x and 100x Objectives to Protect Slides. 1.25 N.A. Abbe Substage Condenser, Condenser Movement Knob, Iris Diaphragm and Swing-Out Filter Holder. Note: This is a Full Condenser, not the cheap Disc Diaphragm type with simple holes in it. Good condensing of the light is important for getting brighter and better quality images. Filters Included: Green, Blue, Yellow. Large Stage with Slide Clips. 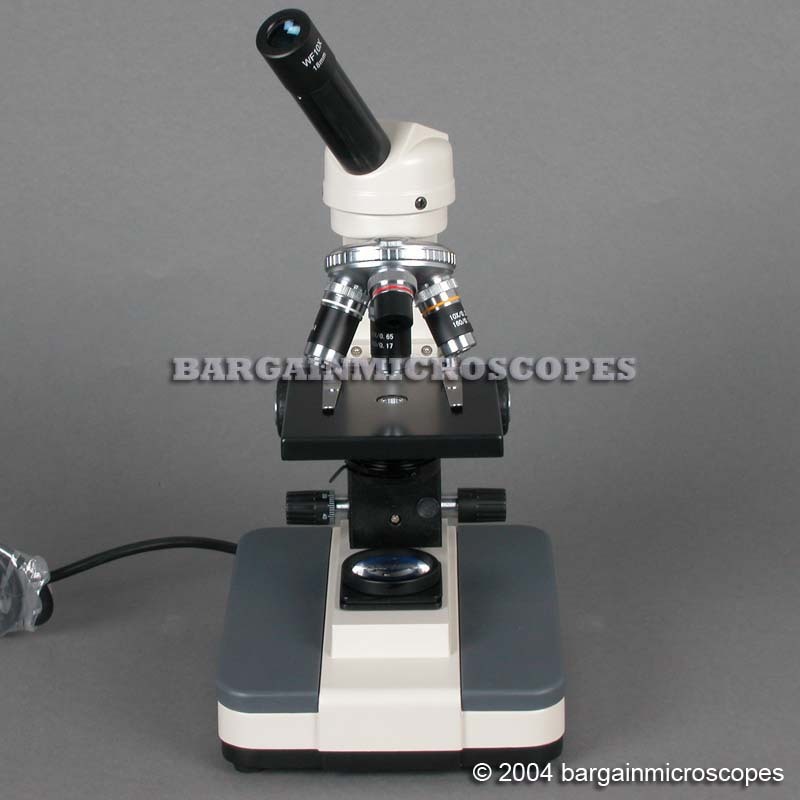 This microscope has a large stage as well as two slide clips that hold the prepared microscope slide in place while observing the biological specimen. 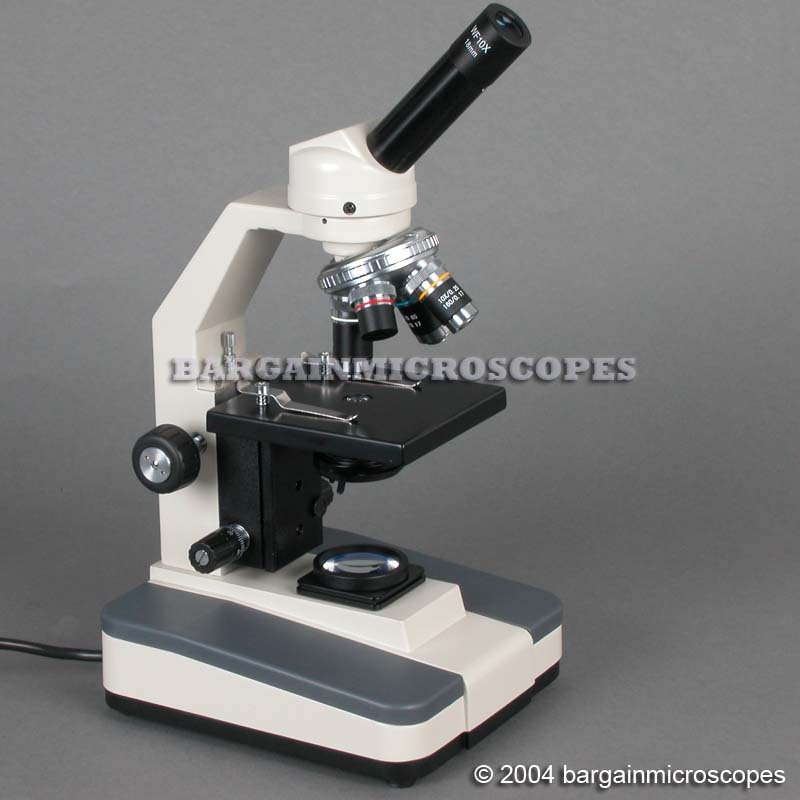 Total Overall Height of Microscope: 15 Inches (390mm). The Base is 8×7 Inches (210mm x 170mm). Includes: Instruction Manual, Bottle of Immersion Oil, Extra Bulb, and Dust Cover. Manufacturer Certified to ISO: 9001 Standard. Always NEW! We don’t sell anything used. 110 VAC (220 VAC Available for Europe and Asia).